Category Archives: Oh Heck! Words from the Author. Dale E. Basye has written stories, essays, and reviews for many publications and organizations. He was a film critic, winning several national journalism awards, and the publisher of an arts and entertainment newspaper called Tonic. He once jumped out of a plane for a story (a story about jumping out of a plane). Luckily, he’s never written about brain surgery. Dale E. Basye lives in Portland, Oregon as part of the criminal witness-relocation program, where he lives every day in fear that he will be discovered . . . oh, poop. So what is real? What is a lie, and what’s merely a joke? Is a fact, in fact, a fact? These days, it’s hard to tell. Even though fake news isn’t new, more and more Americans are getting their news from social media, not legitimate news sources. And a staggering amount of this news isn’t news at all. According to Buzzfeed—a popular online source covering digital media and technology—“fake news” outperformed mainstream news in the days leading to Election Day. By now, most everyone has heard President Trump use the term “fake news.” Yet even this term isn’t exactly true, as he and his administration tend to use the label to mean anything that they don’t agree with versus what is proved to be untrue. While some fake news has a political purpose, most often the goal is to simply get a reader to click or to visit an advertiser. The more inflammatory the headline, the more clicks it often receives and, therefore, the more money is made and the more prominence that article is given. The “click-bait” phenomenon has gotten so bad that even Facebook and Google are trying to get a handle on curtailing it. This is especially worrisome for kids and teens, who get most of their news from social media feeds and who haven’t developed the “site-smarts” to discern fake news from legitimate sources. This is, in many ways, the defining issue of our time. And it’s vital that today’s students develop the capability to become shrewd consumers of information. Media comes at us so fast that it often rushes past our ability to gauge its credibility. And viral content is exactly that: a virus that can spread beyond anyone’s ability to contain. This means that both kids and adults alike need to view news as an editor would: as fault-finders constantly questioning the validity of the information presented. 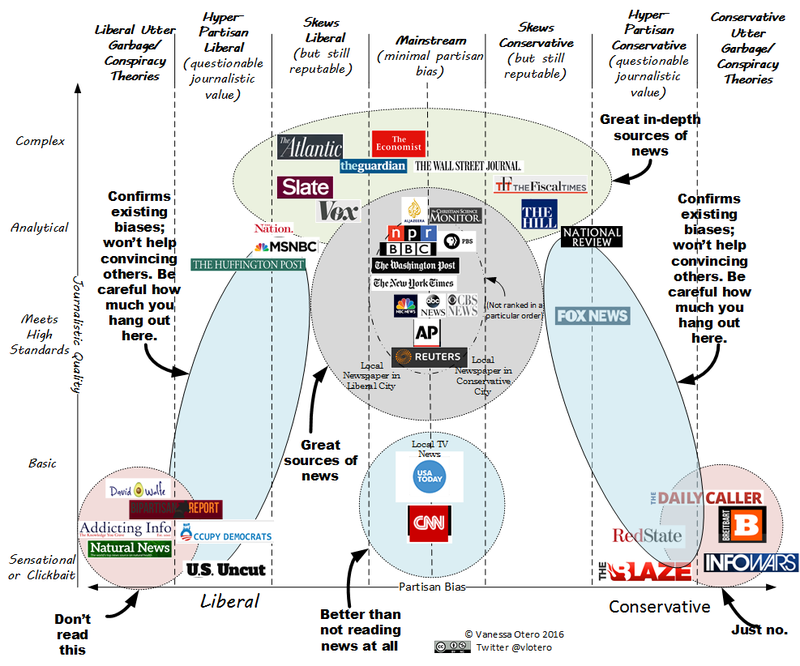 This chart by patent attorney Vanessa Otero shows where popular news media fall in terms of skew and quality of reporting, helping students to be better aware of their sources. As a response to the fake news phenomenon, the State of California has already drafted legislation requiring “civic online reasoning” be added to curriculum as a response to a troubling study conducted by the Stanford History Education Group showing that young people are particularly susceptible to fake news stories. The Stanford researchers studied middle school, high school and college students in 12 states and found they had difficulty distinguishing ads from articles and fake accounts from real ones. More than 80% of middle schoolers assumed that sponsored content was real news. High school students accepted photographs as fact. Most college students didn’t question the potential bias behind tweets from activist groups, or identify the difference between a mainstream and fringe source. But it’s a challenge to wean children off fake news when their parents are so easily fooled. Even if a story seems false, if it fits the reader’s particular ideology, then it’s often filed away as true regardless. This is, perhaps, the scariest part of all of this: even if something turns out not to be true, it is quickly dismissed as the lie has already been accepted. So it’s up to the educator, in many ways, to create media savvy students. And questioning what you read begins with questions. How believable is the story? If it seems fake, it often is. What do you know about the source? A little research can go a long way. Start by looking at the address. Is it a .com? Is it a .gov? Is it a .edu? Be sure that students understand that .com represents the word “commercial” (businesses) and .org means “organization” (such as charities and non-profits) and that countries also have their own domain extensions. Unusual URLs—especially if the content is trying hard to appear as another legitimate source—are to be viewed with a grain of salt. Consider the point of view of the source. What are they attempting to have readers believe? What do they have to gain through this viewpoint? Some Google sleuthing into the source could reveal possible motives and/or biases. Are the authors qualified to write about this issue? Are there any facts that are conspicuously missing? Follow the money. Who paid for the content? Or, if content is clicked, who stands to get paid? Spending a little time investigating a source—such as their About Us section—can be illuminating. If a site doesn’t include such a section, that’s a red flag in and of itself! Double check the facts. It’s a good rule of thumb to compare three sources to gauge the validity of a fact, being sure that one of those sources is from an opposing viewpoint. Snopes, FactCheck.org and Wikipedia are easy ways to test the validity of wild claims. Also, see if mainstream news outlets are reporting the same news. If not, this could be a clue. Looks can be deceiving. A lot of fake news outlets employ professional-looking graphics and design to convey a sense of reliability. Kids need to learn how to separate the information from the presentation. Helpful signs are grammatical errors, sensationalist images, outlandish claims and a lack of sources. Read beyond the headline. Does the story itself match the intent of the headline? Is the date current? Is the site a satirical news site such asThe Onion? Gain a foreign perspective. Another interesting approach is to have students consider how events are reported in different regions of the world. Looking at the same event through the lens of various foreign countries can reveal unique viewpoints. Chicago librarian Kylie Peters is on the front lines of the war against fake news. Here are a few of her tips for helping students navigate a world of falsity. Scroll to the bottom of the page and look at who owns the copyright. Is it an individual? A business? A smaller division of a large business? What makes this site qualified to provide accurate information on the topic the site covers? Does the website cite its sources? Are the sources reliable? Does it link to reliable sites? Poor graphic design may be an indicator of low-quality material. Watch for “bias words” that indicate emotion, opinion or slant. Don’t use Google search rankings as an indicator of accuracy. There are a lot of tricks people will use to make their Google search rankings go up. Google also pushes its own properties to the top of the search results. Peters also suggests that students test their media manipulation skills by Googling the phrase “Save the Pacific Northwest Tree Octopus” and clicking on the site that comes up first. This site was specifically designed to teach students digital literacy and has some built-in clues to help identify false information. And Peters advises that if a student feels overwhelmed, that they can always seek out a librarian to help them with essential media literacy skills. Ignorance and propaganda are a threat to the American way of life as democracy depends on the acknowledgment of facts to help steer our government through a sea of opinions and self-interests. Even more so, fake news can strip away faith in our institutions, effectively making them useless. It’s up to the educational system to help create a more savvy generation of citizens to lead our country forward. This entails not only the ability to more accurately sift through fact and fiction, but a better understanding of constitutional democracy and the structure of government. Perhaps a push for media literacy and more comprehensive civics education could help mend our fractured political landscape. And while creating a civics curriculum can be a touchy thing—walking a tightrope to avoid the potential ire of parents—it is essential in giving students a unifying foundation and hope for the future. This skill would also offer students strong examples of how powerful “true” journalism can be in revealing societal ills, thus encouraging solutions. As Chris Berdik recently reported in Slate, preliminary research suggests that students who receive media literacy training are better able than other students to evaluate the accuracy of political claims and distinguish advertising, entertainment, and advocacy from news. A reluctant writer comes in many guises: a student who is good at telling stories but lacks the skill (or desire) to put them down on paper; someone who is never satisfied with what they write; a poor speller; someone who thinks that writing is just grammar and rules; someone who abandons their writing easily; or someone who is simply scared to push themselves or risk appearing foolish. A simple strategy is to not make writing seem like writing to the reluctant writer. Not tricking them, per se, but cleverly building up necessary skills to help make writing more productive and satisfying. Some children are auditory learners. You know: the ones that you are constantly hushing (it’s odd: we spend so much time trying to get children walking and talking as babies only to force them sit down and be quiet when older!). In any case, many of these “chatty” students simply must process thoughts through their lips. In terms of writing, verbal learners might prefer talking another student through their story before committing pen to paper: verbally formulating their plot and solidifying characters. This helps young writers put thoughts in order beforehand to better avoid writing frustration. Auditory learners have the tendency to read out loud, repeat information and ask a variety of questions for clarification. They understand the world by talking about it, tend to like music, would rather listen to and talk about a story than read, and demonstrate good oral spelling. Auditory learners remember what they hear and tend to process by talking aloud. They are the vocal students who hum, tap their pencils to a beat, or can’t go throughout the day without singing or sharing a story. These students can often have a hard time concentrating in a noisy environment. Headphones can act like mufflers for students who are easily distracted by sounds and side-conversations. Non-intrusive music can also be used to set a “mood” in the learning environment. This can help students better focus on the task at hand. Long periods of silence when reading, writing, or testing can be difficult for auditory learners. Classical music can help calm students during an exam, while upbeat music might prove motivational during certain lessons or exercises. Persuasive writing exercises can be engage auditory learners by getting children together in groups to form and present persuasive arguments. These types of learners often make strong debaters, so enabling students to build persuasive arguments can be an emboldening experience. Students can begin by determining a goal, then identifying reasons to support that argument then finding facts or examples to validate each reason. Persuasive lessons help students discover the power of writing to serve their needs. When they recognize what writing can “do for them,” they are motivated to write and to work at making their arguments clearer and more persuasive. Sometimes students simply work better together. Pairing children or putting them in small groups for a set amount of time should help keep them focused (though be prepared for some noise!). Pairing up students to help them brainstorm their stories can ignite creativity on its own, with each child helping one another to fill in gaps or take their ideas in exciting new directions. Students can even “role-play” their characters and situations! Partners can write and switch too—building their stories line by line—or one person can transcribe what the other dictates and then switch, turning an evolving conversation into an actual story. Their stories don’t even need to be formally committed to paper and could, for example, be recorded as a podcast. Listening back to their podcasts and either honing their stories verbally or through the act of writing can kick-start healthy writing habits. Children don’t even need to be in the same room when brainstorming stories. Online collaboration tools such as Padlet can help with collaborative ideation. Padlet works like an online sheet of paper where students can put any content (e.g. images, videos, documents, text) anywhere on the page, together with anyone, from any device. Correcting a peer’s writing (or a teacher’s, for that matter) is also far less painful than correcting your own. This helps a reluctant writer learn how to revise and correct without it feeling too personal. Making writing a fun and frustration-free part of a student’s daily life is important. Timed free-writing exercises—no more than ten or 15 minutes at a time—help to ingrain good practices. Ideally, students will begin to consider this “their special time” to reflect, let their imaginations run rampant, vent frustrations, or capture life-moments. It’s also important to let students write about what engages them the most before nudging them into specific directions. If they are passionate about a topic, this passion will ultimately come through in their writing. This could even take the form of “fan fiction”: where students continue the adventures of beloved characters from books or movies. Setting up a class blog, with teacher-penned prompts (such as quotes, snippets of dialogue, or even photographs), can also prove successful. Be sure to promote short bursts of productive writing: save the editing and spelling for later. The worst thing for writing flow is to have issues such as spelling and grammar impede that initial gush of creativity. Again, for the verbal learner, this could be simply recording their thoughts for a designated period of time, and making use of those ideas later when writing. Students can capture ideas—either alone or with collaborators—while on walks by dictating into their phones. It’s a great opportunity for students to talk their stories out while releasing restless energy! Even recording recollections of dreams can be a powerful way of building vocabulary. And, since reluctant writers are often reluctant readers, have students make reading a part of their daily routine. This could even be listening to audio books or magazine podcasts on an iPod: anything to fill a young writer’s head with well-chosen words. Students are often more inclined to step-up and brave that blank page if they know that their writing will be shared with peers. Hold a reading at a local coffee shop for student work, or simply a weekly “open mic” in the classroom where students read what they have written that week. 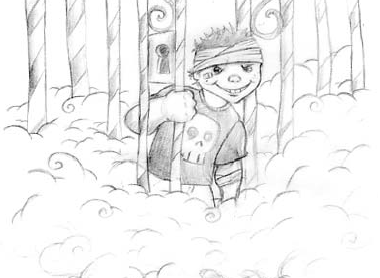 Student stories can also be published in a book, blog or eBook. Be sure to teach “tactful” commenting and critique. Even those who are shy to share will likely be inspired by those who aren’t. Even resistance can be used as writing fuel. If a student doesn’t want to write and, instead, would prefer to play outside, let them write about what they’d do outside. If they want to scream and throw a tantrum, have them write about that. Let them write about how much they hate writing until they have run out of words. This will reinforce that all-important pipeline between brain and fingers. There are a number of online tools to help get auditory learners writing. ReadWriteThink is a handy online resource that provides educators, parents, and afterschool professionals with free, high-quality reading and language arts instruction materials. Another way to help students organize and arrange stories is through Adobe Spark Video. This free tool allows students to quickly create animated videos featuring their own narration. Not only do the app’s prompts help children with story structure, but Adobe Spark Video can also be an empowering tool for students who are uneasy with giving formal presentations to their peers. Other tools include: PodOmatic, where auditory learners can create, find and share podcasts; Playlist, a resource for auditory learners to access free music to play in the background while they learn; Natural Reader, a way to read text stored on your computer; Audacity, easy-to-use audio editing software; Librivox, providing free access to nearly 1,500 free audio books recorded by Librivox volunteers; Project Gutenberg, a collection of human-read and computer-generated audio books; Lit2Go, a collection of free stories and poems in mp3 format; and Read With Me, a student literacy and reading tool for grades K-2 (and their teachers). With these and other writing tricks and tips, reluctant writers will eventually overcome feelings of past failure and begin to develop the skills crucial to strong writing: building confidence, pride and perseverance! Wise Acres: The Seventh Circle of Heck is an Amazon Best Book of the Month! The League of Extraordinary Writers! 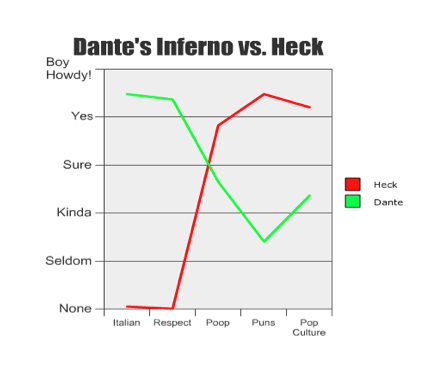 Posted on November 8, 2013 in Fun with Heck, Oh Heck! Words from the Author.